Fly anglers who enjoy smallmouth bass fishing, like Wayne Andersen shown fishing Hamlin Lake, will be able to target them all year under the expanded catch-and-immediate-release season proposed. Photo: Howard Meyerson. 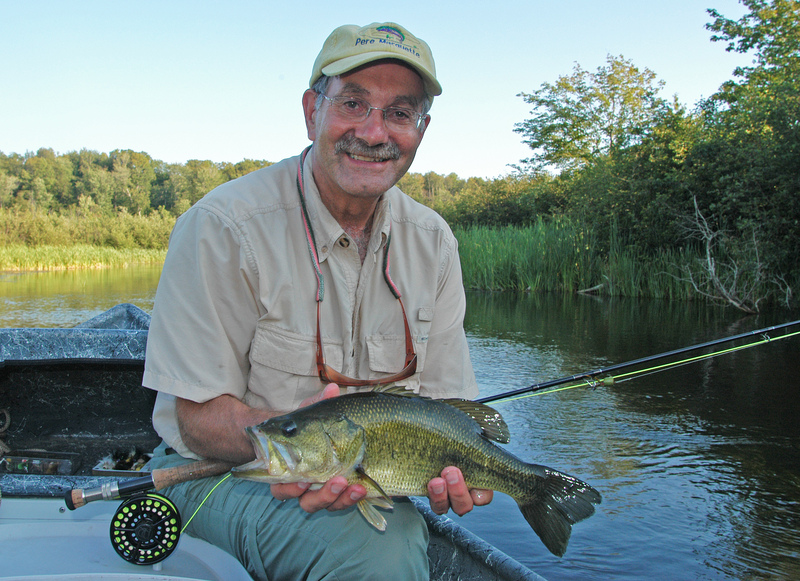 Michigan bass anglers could soon be enjoying more time on the water. The Michigan Department of Natural Resources is floating a proposed rule change to allow catch-and-immediate-release (CIR) bass fishing all-year, statewide – except on specific waters that are closed. The proposed expansion of the CIR season would go into effect April 9, 2015, immediately following an approval by the state’s Natural Resources Commission. It was presented to the commission on March 19 at its Roscommon meeting. A final decision is expected at its April 9 meeting, in East Lansing. Meanwhile, the public has until then to comment. Keeping bass is currently verboten outside of the possession season, which begins May 23 on most Michigan waters, and June 20 on the St. Clair and Detroit rivers and Lake St. Clair. That’s because bass are usually on the beds spawning at that time. Not allowing anglers to keep them makes the fisheries more robust. The changes will expand fishing opportunities and simplify rules, according to DNR officials. The proposal comes after 15 months of discussion by agency fisheries and law staff, stakeholder groups, and public input. Tournament anglers will have an extended tournament season with the new catch-and-delayed-release season being proposed. Photo: Howard Meyerson. 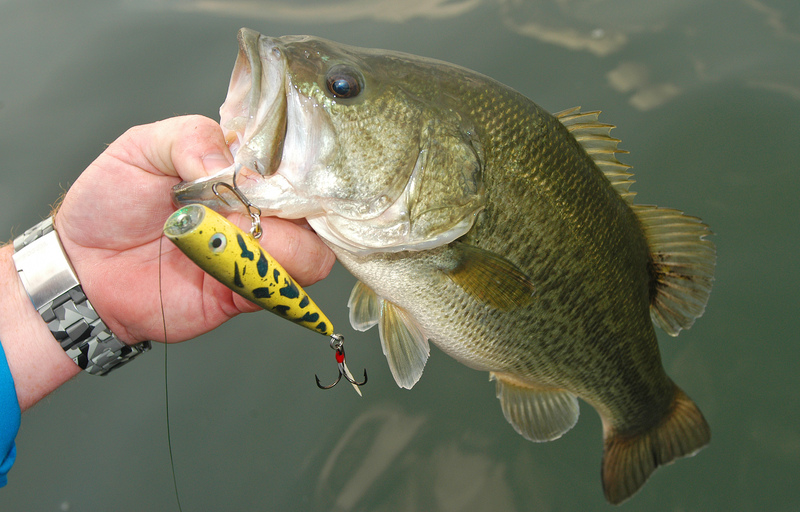 Also proposed is a new “Catch-and-Delayed-Release season (CDR) for bass tournaments. Tournament anglers have wanted to see those opportunities expanded and DNR officials suggest that fishing tournaments are good for local economies. The CDR season would allow competitors keep their catches in a live-well until the weigh-in, rather than requiring they be immediately released. That’s been a sore point for some, who fear, particularly on Lake St. Clair, that removing a spawning bass from its nest area makes the nest susceptible to bass egg predation by gobies; and that catching and moving a spawning bass protecting its nest, makes the population more vulnerable. Lake St. Clair, in 2013, was named the top bass fishing lake in the nation by Bassmaster Magazine. Their bottom line is essentially: Yes, something could happen, but not enough to affect the bass population. That assurance hasn’t been enough to cool the ire of more than 800 anglers who’ve signed an online petition at Change.org opposing the rule change. If approved in April, CDR tournaments in 2015 would be permitted only on DNR public launch sites from the last Saturday in April through the Friday before Memorial Day on Great Lakes and Lower Peninsula waters; and from May 15 to that same Friday for Upper Peninsula waters. In 2016 the CDR season would run from similar opening dates through the end of the year and DNR officials anticipate that CDR tournaments will be allowed at other sites. Any CDR tournament would also be required to register with the DNR, using the online Michigan Tournament Fishing Information System. The system, DNR officials say, is designed to help with tournament scheduling at DNR launch sites, as well as provide data about tournament fishing. Each tournament would be required to report the catch results by the end of the year. If you have an opinion about the proposed CIR or CDR seasons, be sure to let it be known. Comments can be sent to nrc@michigan.gov. This entry was posted in Uncategorized and tagged Bass, Catch and release, DNR, Fish, Fishing, Lake St. Clair, Michigan, Michigan Department of Natural Resources. Bookmark the permalink. CIR is fine but I don’t want to see a change just for the tournament people. They will purposely target big fish on beds and drag them away, dump them in a live well, haul them around a lake all day, weigh them and then release them miles from their spawning area. That can’t be good. Why should our fishery be put at risk for the benefit of some out of state tournament anglers? These proposed rule changes are for Michigan waters, but it’s still close enough that many of us fish those waters, and I think it’s really worth taking a look at this article.